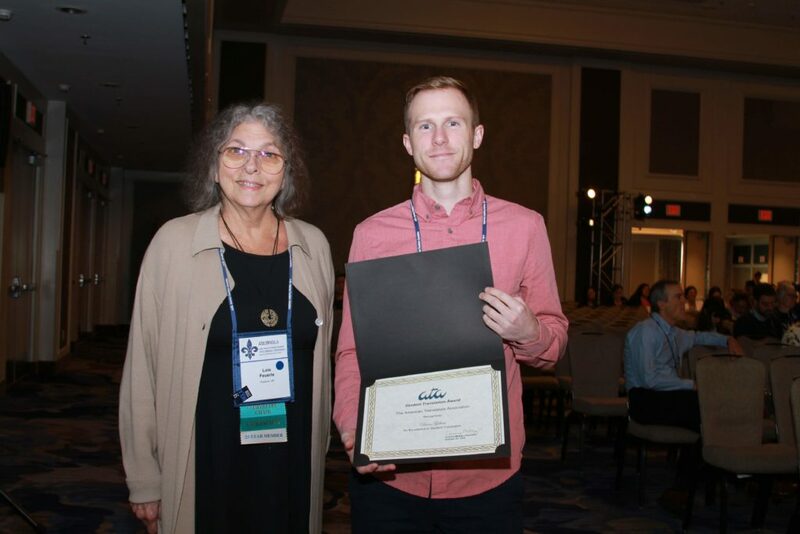 Devin Gilbert, MA in Interpreting and Translation Studies (WFU 2018) received the Student Translation Award from the American Translators Association (ATA) for the year 2018 for his project on translating Ondjaki’s novel Os da minha rua from Angolan Portuguese into English. This annual award recognizes outstanding student work that demonstrates promise for future research or publication. Gilbert received it at the annual ATA Conference in New Orleans, LA in October. As part of the requirement for the MA in Interpreting and Translation Studies at WFU, students prepare and present an applied research project that includes translation of a chosen text in a specialized domain and a translation theory-based analysis of the translation. Students choose their texts from a variety of fields, from literature, religion, and social studies to medicine, law, technology or sports, entertainment and tourism. Based on his work to fulfill this requirement, Devin’s project proposes an innovative approach to literary translation. Borrowing the concept of oscillation model from interpreting studies, he reconciled in a new way two classical strategies for translating a text from a distant cultural context: foreignization and domestication. Devin applied this new model to various aspects of Ondjaki’s novel: cultural and linguistic, but also socio-economical, tribal, religious and geopolitical. Dr. Diego Burgos, WFU Associate Professor of Spanish and Translation, directed the project together with Father Henryk Ślusarczyk SVD. 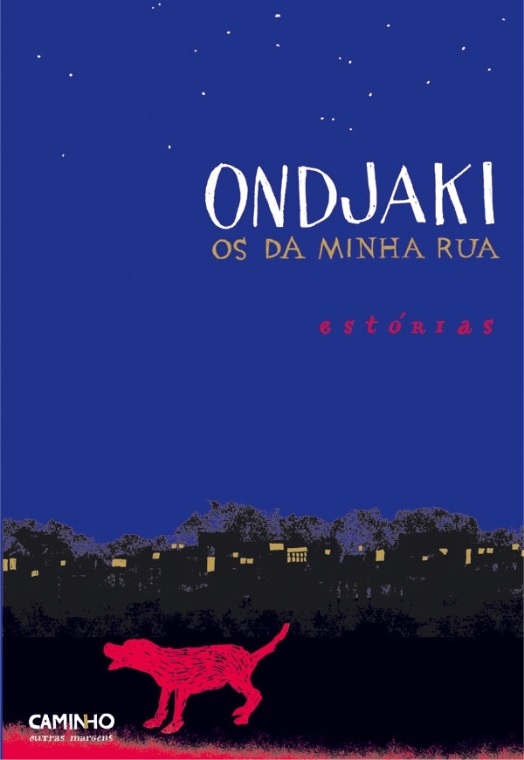 Father Ślusarczyk SVD, who spent several years as a missionary in Angola, was able to provide cultural and linguistic background for the novel. Some of the challenges Devin encountered as he prepared a translation for an English-speaking public in the U.S. included contextual understanding and appropriate transfer of Angolan Portuguese that is influenced by tribal languages such as kimbundu, umbundu and kikongo.